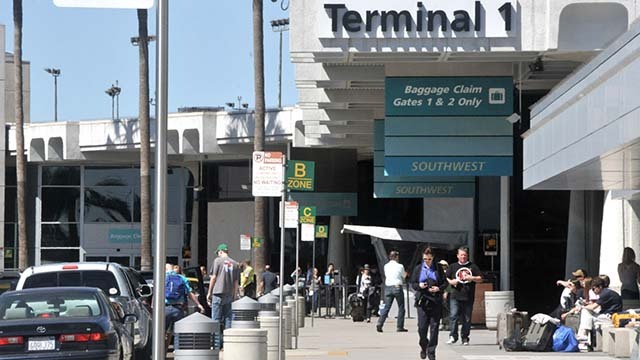 The San Diego International Airport’s Innovation Lab is testing its first two projects aimed at improving airport logistics. Travel assistance and parking companies Baggage Nanny, FreedomPark, ParkConnect, TravelCar and Vark will spend 16 weeks at the lab considering ideas to improve airport parking and the general airport experience before the companies present their findings to the Airport Authority in November, with a chance to secure a contract with the airport. The airport began seeking applicants for its Innovation Lab test space earlier this year. With the lab, the Airport Authority said it aims to improve its airport experience and operational efficiency while increasing revenue and pruning costs. Baggage Nanny plans to develop a storage and delivery service for luggage; FreedomPark and Vark are working on valet management; and ParkConnect and TravelCar are working on ride and parking booking services. The five companies share access to a 3,500-square-foot warehouse that functions as a mini-terminal without having to work around passengers and security. The next group of companies are scheduled to start at the Innovation Lab in March. Airport Authority president and CEO Kimberly Becker said the Innovation Lab is meant to “develop solutions at the intersection of,” customer service and innovation. “It is very exciting to contemplate new ideas to address existing challenges, as well as the potential for developing radical new concepts,” Becker said.